This looks really nice. I have never tasted grilled peaches. I need to be patient, though, as their season here is still some weeks away. What a lovely salad Jann. I can't wait until we get local peaches. 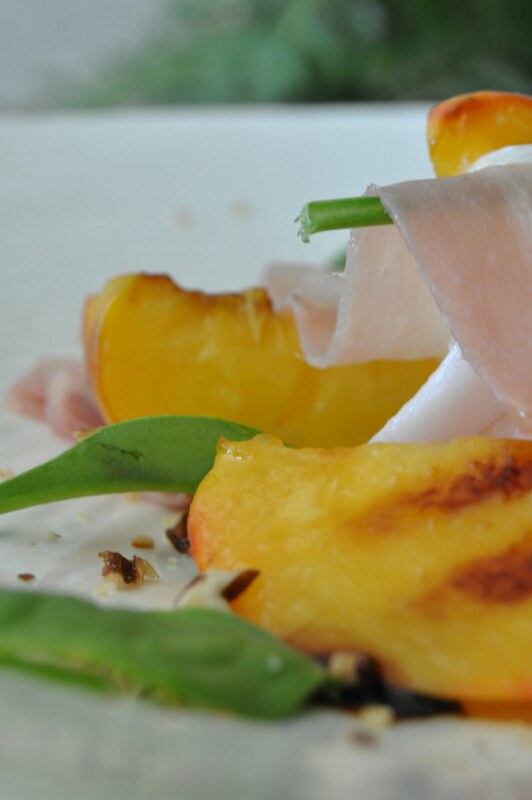 Love your idea of using your panini press to grill the peaches. 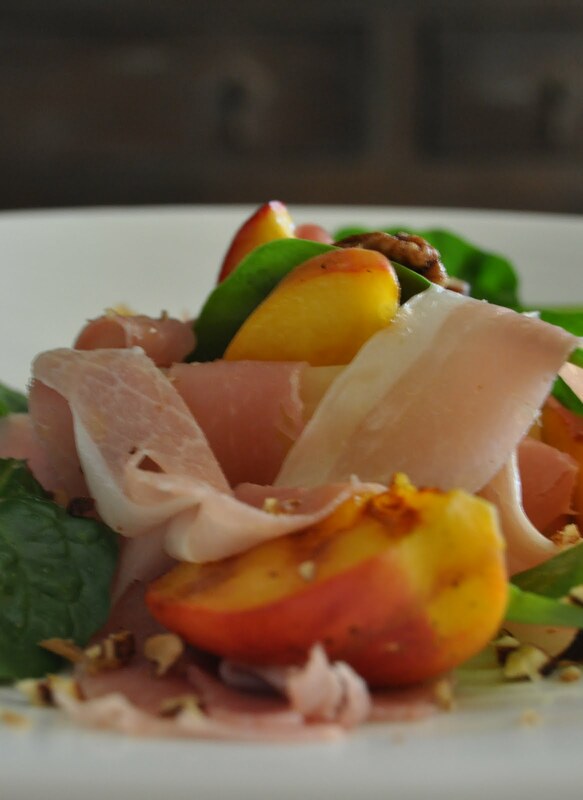 simona~the peaches were heavenly!I did one batch chilled and the other warm, the peaches,that is. I actually preferred the peaches warm! But, the cheese is the star in this salad! hope you and hubby are well! Sam~thank you for stopping by. I have been so busy getting my tour group organized and finalizing plans. I have missed cooking! You should have very good peaches up your way......soon! hope you have some exciting plans coming up! looks like a refreshing salad! K&S~good to hear from you! Very refreshing at that!! Such a great salad for Summer - I am going to do more fruit and vegetable salads this year! We have grilled peaches on our back deck but have never thought to bring them to these heights. Brilliant, Jann! And the photos are just lovely. what a great dish -- the flavors are so tasty together!